Side Note – To avoid all of this legacy overhead, use Office 365 Click to Run edition. It is easier to deploy and manage the click to run editions of Office because there is built in functionality to keep your installation source up to date without having to identify, download and test each individual update. Fred has joined Now Micro and is passionate about PowerShell and how it can make life so much easier. The solution laid out below can reduce your deployment time and complexity around deploying and managing Office. To install Microsoft Office software updates as part of the Office suite deployment you can download the applicable updates and place them in the updates folder of the Office source installation. These are in the form of MSP files. This is a well-documented process that hasn’t changed for a while. The biggest challenge with this has always been locating all the available updates for your particular Office installation. Sifting through the windows update catalog is a real chore and I am lazy, so I looked to enlist the help of ConfigMgr and PowerShell. 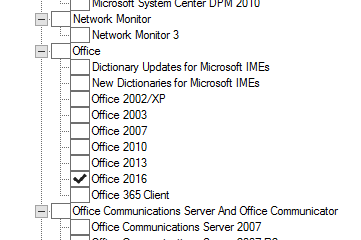 In the site settings for your software update point be sure that you have selected the Office 2016 product. Do this and then synchronize your software updates point if you haven’t already. Select all updates (ctrl-a), right click and select Download. 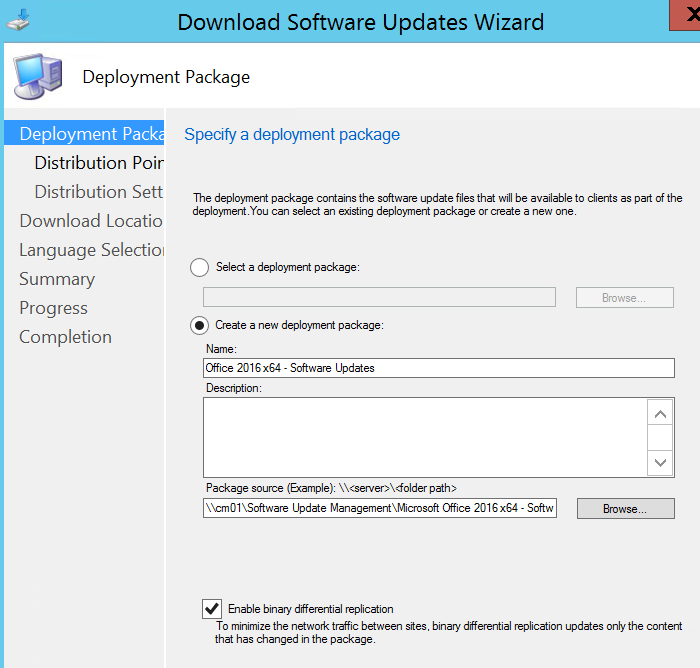 Create a new Deployment Package when prompted. Take note of the Package Source folder. It will be referenced later. This will download all the source files to wherever you specified when you created the Software Updates Deployment Package. A unique directory (sometimes more than one) is created for each software update in the Deployment Package. Each folder created during the software update download will have a .cab file that contains the Office update MSP you are interested in. If you start extracting these archives you will quickly notice that all the software updates for Excel are named the same. This behavior is the same for all products in the suite. (Word, OneNote, etc.). PowerShell to the rescue! This script will extract the MSP files from each cab archive, save them with a unique name, copy them to the updates folder of the Office installation and then clean up . To use this script modify the parameters of the Get-Office2016MSPsFromCab function to match your environment or specify them explicitly when running the function. The script in its entirety can be found here. I hope you find this useful! Contact me at @FredBainbridge with specific questions.